Is BMW Set To Show Off The M4 Coupe Concept At Pebble Beach? The BMW M3 Coupe is one of our favorite cars in this neck of the woods. Except that it doesn't exist anymore. But BMW is replacing it with the M4 Coupe. Will we catch our first glimpse of it in a few weeks? Before BMW ever shows a production version of its M cars, it always wheels out a car they dub a concept, which means it's the car we'll be able to buy in a year or so with some different wheels, a special paint, and maybe some exterior bibs and bobs that won't be on the production car. Rumors on Bimmerpost say that the M4 Concept will be wheeled out for the glitterati at Pebble Beach car week to gawk at in the middle of August. It's not entirely unlikely, either. Pebble has a concept lawn where they put all the cool new stuff, like your McLaren Spiders and Shelby Tuataras and BMW Zagato Coupes. 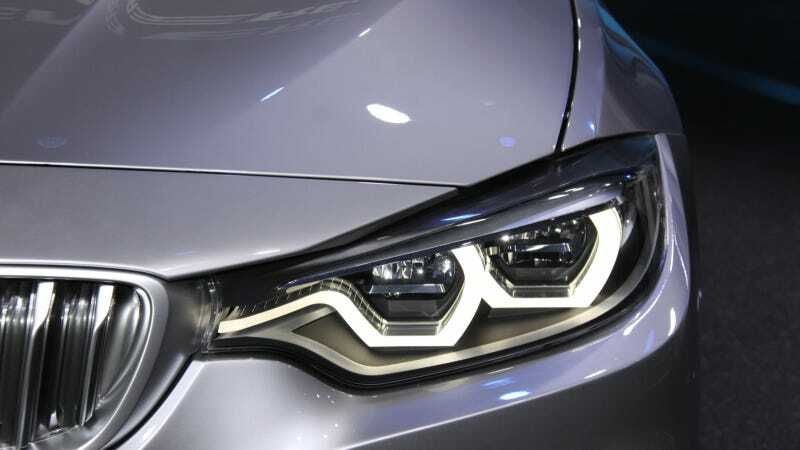 Bimmerpost isn't clear if it'll be a private unveiling to a few well heeled customers or a public one, but the rumor states that the car will be at Pebble and then shown off at the Frankfurt Motor Show in September. We really hope they put it out in public, like Cadillac might do with their big sedan or other surprise that should be there as well. Will Cadillac Reveal A New RWD Flagship Sedan At Pebble Beach?